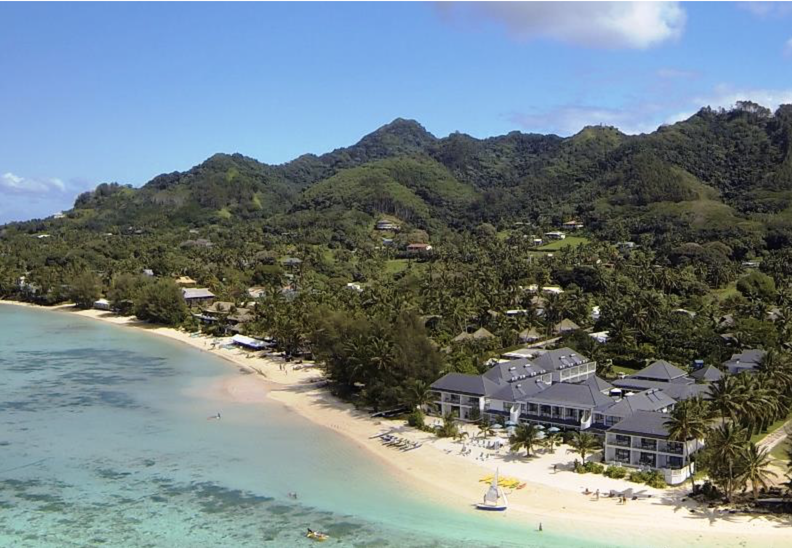 Boutique in style and service, Muri Beach Club Hotel invites you to experience the real rhythm of Rarotonga … in absolute chic sophistication. Enjoying an enviable location on the best stretch of beach on Muri Lagoon, this getaway retreat is privately owned and operated with relaxation, privacy and guest satisfaction as its primary objective. 30 well-appointed guests rooms are built around a private courtyard and large central swimming pool with the Beachfront Rooms offering stunning views of the lagoon and small, offshore islands (motus). Amenities designed to pamper include a fine dining restaurant specialising in Pacific Rim cuisine and a Beauty & Spa centre. no children under 18 years. Hurry, offer ends 31 August 2017! Ex. Sydney from $2,250. Ex. Melbourne from $2,375. Ex. Brisbane $2,450. Sale to 31 August 2017. Valid for travel 01 November 2017 to 31 March 2018 (high season surcharges apply). Minimum 5 night stay applies. Prices shown are a guide only, based on low season availability & subject to change, Price per adult, twin share based on Air New Zealand sale fare, valid for new bookings only. Other conditions may apply.